How are the grandkids? You got a new dog? Did you get that promotion? These are not phrases you would typically hear from a heating and cooling company. At Mueller Heating and Cooling, our friendly staff knows our customers and cares about what’s going on in their lives. We have been calling on some of our neighbors and local businesses for more than two decades. While technology is all the rage, it’s the personal relationships that truly matter. Why Choose Mueller Heating and Cooling? As a family-owned and -operated company, we “get” families and their needs. In fact, we’ve become a leading heating and cooling provider in the greater Ozaukee County area because local families trust us. We want you to become one of our lifelong customers, too. That’s why we prioritize service on Carrier® systems and systems that use Carrier-compatible parts—to make you our top priority. And we make an honest effort to ensure you are genuinely happy each time we visit your home. When building a new home, you have a lot to think about—paint colors, flooring choices, fabric selections, appliance finishes, and so much more. 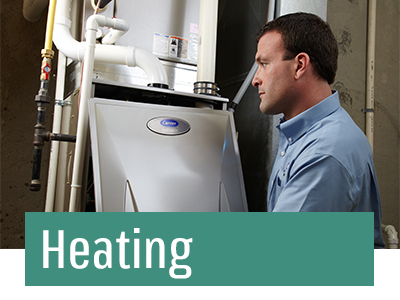 While your dreams may not include heating and cooling equipment, you have the perfect opportunity to install the ideal system that fits your lifestyle. Typically, a builder offers generic solutions that may or may not suit your unique needs. At Mueller Heating, we can provide advice on the advantages of each heating and cooling system, so you can make the right choice for your family. We will perform an expert installation and follow up with routine service to keep your system operating safely and efficiently. Many homes in Southeast Wisconsin rely on furnaces to stay warm. Our technicians have been with us for decades and know how to perform professional installations and service for both older and new energy-efficient units, including furnaces and ductless split systems. And when it comes to installing furnaces, we can even create customized ductwork to ensure total comfort and peak efficiency. We’re also proud to install boilers for in-floor radiant heating systems and service these units after installation to keep you comfortable. In Saukville, we often get a cooling lake breeze in the summer, so many families don’t often need to crank up the central air conditioner until July or August. At the same time, when it gets hot, it’s hot, and you want the relief of cool air ASAP. The professionals at Mueller Heating are proud to service the central air units we’ve installed. We’ll arrive on site to repair your unit as soon as possible—remember, you’re our priority. And if you need a new air conditioner installation or replacement, we’ll provide you with an estimate before any work begins. We may even recommend cooling system options such as ductless split systems to reduce costs while providing the comfort you seek. Lately, many families in our area have called with questions about indoor air quality. Perhaps a loved one has allergies or you adopted a new pet, and you want to be sure the air you breathe is as safe and as clean as possible. Our technicians can come to your home and make recommendations based on your needs. Cleaner, fresher air is only a call away. Our staff knows the heating, cooling, and indoor air quality business inside and out, but customer service is where we really shine. We make your comfort our priority, and guarantee complete satisfaction whether performing routine maintenance, repairing an issue, or replacing your unit. Call us today to schedule an appointment at 262-284-9336 or fill out our form. Count on the Mueller Heating team for professional and reliable installations, repairs, and maintenance for your heating system. Don’t settle for anything less than dependable service. 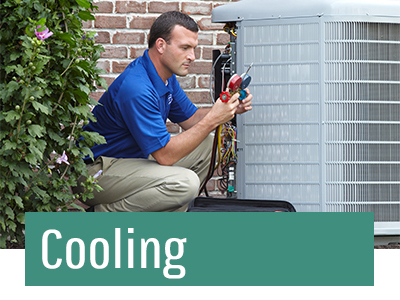 Our pros deliver expert air conditioner and heat pump installations, repairs, and maintenance to help you keep your cool no matter the weather. 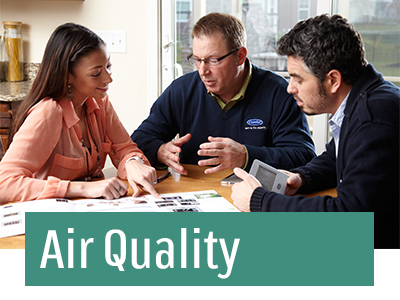 Indoor air quality (IAQ) is a leading concern for homeowners, so our team recommends necessary products—like humidifiers, dehumidifiers, air purifiers, ventilators, and UV lights—to improve it.